Have you found your soulmate? What's on your lover's mind? Are you on the right path in your career? Call Hope Marlow and uncover the truth! Receive loving answers, insights,and clarity to make decisions, manifest your heart's desires, transform your life, and live your life's purpose. Hope's powerful intuitive readings lift you up and empower you to release what blocks you and feel more joy, love, peace, and abundance. 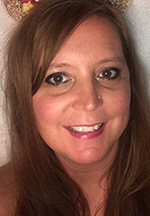 She connects with your energy and spirit guides using her psychic skills. Being a Spirit Guide Coach and a Realm Reader, she works with many different guides and realms. Hope walks in the land of magic and invites you there where there are secret messages everywhere. Angels, your Spirit Guides, Loved Ones in spirit, Animal Guides, Fairies, the Goddesses Ancestors and other Divine Helpers give her pertinent powerful messages through her Clairvoyance, Clairaudiance, Tarot and Oracle Cards. Hope will also often use other tools such as Dreamwork, Pendulum, Scrying, Energy Work, and Automatic Writing to further guide you. As a Kairomancer, Hope, sees and hears messages and signs all around so she may ask you about recent events and dreams if she feels it can help. Bring pen and paper as she will often share meditations and other exercises to further support you in freeing yourself from turbulence and fear. You are in reliable, trustworthy hands. Hope has ten years of experience doing Intuitive counseling with over 25 years of experience as a psychotherapist. It became quite a challenge to do therapy when spirit and spirit guides were coming through so Hope decided to do Intuitive counseling and coaching independently. She still provides counseling and classes in her local area. She has multiple post graduate certifications including Certified Law of Attraction Master Life Coach, Psychic an Tarot Coach,Spirit Guide Coach, Chakra Healer and More. Having been through many a dark night and turbulence herself, Hope is so Grateful for her connection to spirit and the tools she's acquired to navigate through peacefully. She believes it's like the onion, always more layers to peel, more to learn and grow from. There is always going to be contrast to help us expand into something greater. She is here to support in that expansion rather than contraction. hope's mission and joy is to learn and share what she learns to empower others to manifest their heart's desires and live a life of romance,enchantment, and bliss as much as we can. Hope Marlow is available ... and ready to take your call!